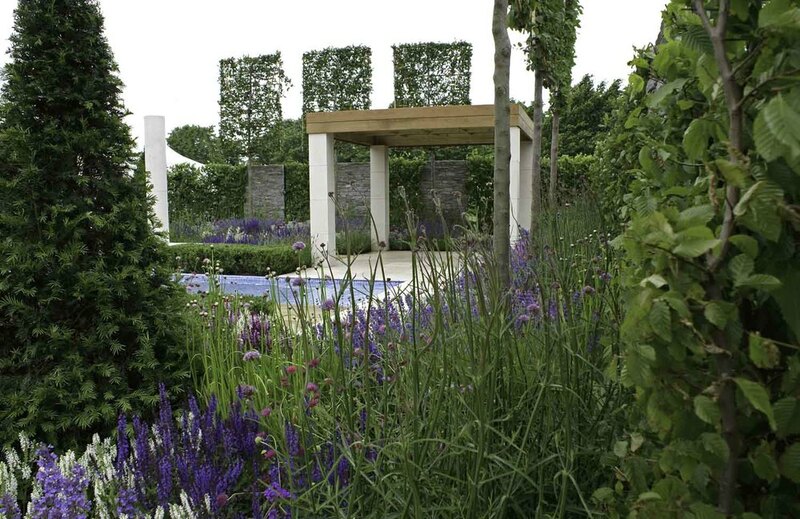 A garden based on the simplicity of geometry and is inspired by a combination of Italian stylistic design, and modern contemporary garden designs. A calming atmosphere of tranquility provides a subtle place for relaxation and contemplation. The hard straight lines formed by the hard landscaping are softened by masses of perennial planting. 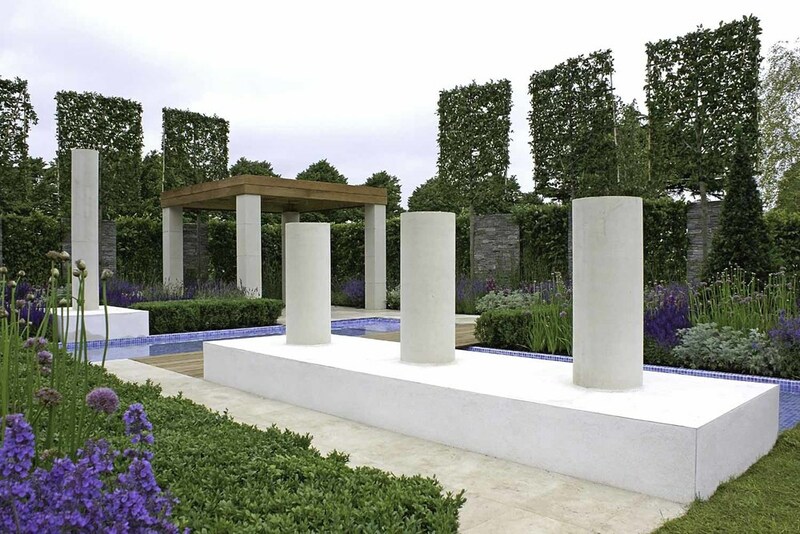 The garden has elements of balanced geometry, shown by the regularity of the espalier hornbeam and sculptures. The seating area is designed without sizes to provide a light and airy space. 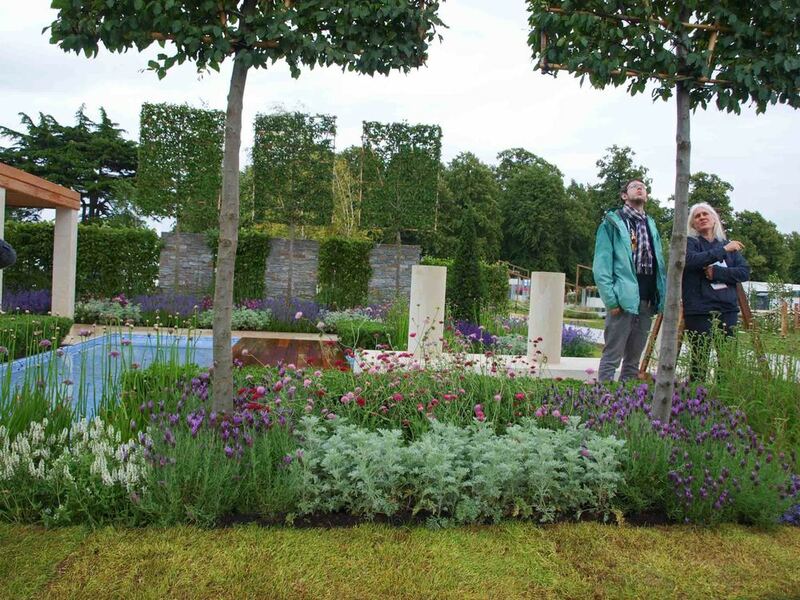 Key Specimen Plants: Carpinus betulus, Taxus baccata, Knautia macedonia, Allium senecens and Salvia superba.